Question: I’ve had an itchy, flaky scalp for a while that’s been really bad for about three months now. My whole scalp itches and I get loads of dandruff on my clothes and furniture as well as small white scaly looking patches on my scalp which is a bit red. Is this something I should be worried about? How can I stop the itching and get rid of the dandruff flakes? 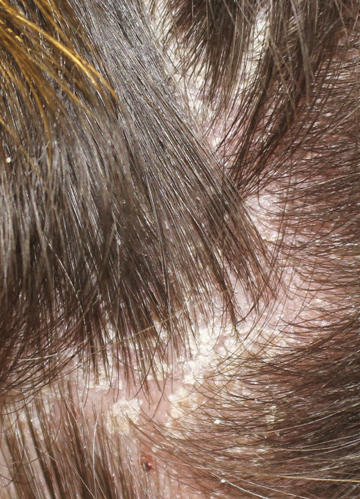 Answer: Hi Jan, we would to assess your scalp to provide a confirmed diagnosis, however, this sounds likely to be seborrhoeic dermatitis (sebderm). Sebderm can cause the precise symptoms you describe and is a common scalp conditioncaused by an overgrowth of Malassezia – a type of yeast which lives on our skin – or by our immune system over-reacting to this. It tends to appear on oilier areas of the skin, commonly including the scalp and areas where there are folds in the skin, such as either side of the nose and/or behind the ears. Stress, tirednessand cold weather can trigger or exacerbate this condition, so the timing of your current flare up may be due to any of these factors. Dandruff is actually a type of mild sebderm so, depending on how severe your condition is, you could try a medicated shampoo as your first port of call. 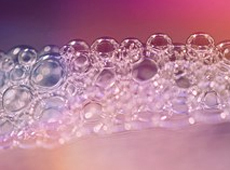 Ideally look for a formulation containing a tar ingredient, ketoconazole or salicylic acid. Try to wash your hair every day but use this cleanser in accordance with the product directions as most good quality medicated treatment shampoos are not suitable for every day use. If this approach does not work for you, there are other options, including the short-term use of topical steroid solutions, such as corticosteroids, or the anti-fungal, betamethasone. Again, this should be used as instructed by your doctor or dermatologist but is often recommended in severe cases of sebderm for twice daily use, then twice-weekly use to sustain improvements once the condition is better under control. Your medical professional should oversee this usage of prescription treatments – which can be used in conjunction with medicated shampoo unless you are advised otherwise – as there are a number of potential side effects linked to their long-term or over-use. These can include thinning skin and skin discolouration. At Belgravia patients who visit us for hair loss treatment but also present with scalp conditions such as seborrhoeic dermatitis are often provided a scalp de-scaling lotion to use at home. This is also available to non-patients and its purchase can be arranged by contacting the centre or visiting one of our Central London hair loss clinics in person. Whilst clients can have these scalp conditions addressed during clinical therapy sessions, with a bespoke mix of treatments and therapies used for their specific issues, a version of one aspect can also be carried out at home. Scalp steaming can be beneficial once the scalp descaling solution has been applied. If you do not have a portable home-use hair steamer, a simple alternative is to dampen a small towel and microwave it for a short time until it is as warm as possible, but not hot enough to scald you. After applying the scalp solution you can wrap the towel around your head for 15 minutes to half an hour to maximise the scalp’s ability to absorb the treatment. Be sure to wrap a separate towel around your shoulders to catch any moisture. If you start to notice any issues with hair loss due to the repeated scalp scratching and occasional hair pulling that can affect people with sebderm, a specialist will be happy to assess and diagnose you, then discuss options for treatment, where appropriate. Question: How can I make my hair thicker? It’s thin all along the top of my head and I want to make it look normal again. Answer: Hi, Lennon. The best first step is to have a consultation with a specialist at a dedicated hair loss clinic so that you can have the cause of your thinning professionally diagnosed. Once you have a confirmed diagnosis, you can then be recommended a personalised course of appropriate hair loss treatments. From the description you provide here of thinning hair along the top of your head, this sounds extremely likely to be Male Pattern Baldness. This is an inherited hair loss condition which only affects the follicles located along the vertex, from hairline to crown in genetically predisposed individuals. It causes a drop in hair density and gradually thinning hair which can affect the entire vertex in addition to forming defined patterns such as a receding hairline or a thinning crown. There are two clinically-proven hair loss solutions for men which are both MHRA-licensed and FDA-approved: the oral tablet finasteride 1mg and topical high strength minoxidil. These are designed to inhibit DHT – the hormone responsible for causing the follicular miniaturisation which leads to genetic hair thinning and eventual baldness – and to promote accelerated hair growth, when used consistently. In addition to these pharmaceutical elements, there are supplementary hair growth supporting products which can be used alongside either or both of the authorised medications. These include FDA-cleared low level laser therapy (LLLT) devices, such as the HairMax LaserComb and the LaserBands, which stimulate hair growth and thickness, as well as an exclusive one-a-day hair supplement, Hair Vitalics for Men. This product has been developed by Belgravia hair specialists to have a highly-targeted formula that includes key vitamins, minerals, amino acids and botanical extracts, such as biotin, zinc and selenium for the maintenance of normal healthy hair growth. This rounded approach to treating your hair loss should help to increase its thickness over time and Belgravia clients often say that they benefit from having on-going monitoring to ensure that they are using the optimum treatments for their needs at all times. For a temporary fix, there are products such as microscopic hair fibres which – as long as there is hair for them to cling to – can help to make hair look thicker pretty much instantly, though these are purely cosmetic and will not stop hair loss if used on their own, without treatment. Is David Beckham Using Hair Loss Concealing Microscopic Fibres? Question: I’ve been using regular strength minoxidil for three years but only on my temples. They were thin but now they’re fine and the minoxidil seems to be working for me. I have noticed that my hair overall is getting thinner though like I don’t have as much hair when I go to put my hair in a ponytail. It’s definitely not as thick as it used to be. Should I start using the minoxidil on other areas of my scalp as well like the top or all over? What would you recommend? Answer: Hi, Melody. We’re glad to hear that this has been working for you so far, however, we note that you’re not a Belgravia patient so would recommend having a consultation with a hair loss specialist in order to get a professional diagnosis of your condition, if you have not done so already. This will enable the correct hair loss treatment course recommendations – for both medication and hair growth supporting products – to be made and personalised to your condition, level and pattern of shedding, as well as your medical profile. From the information you give here, it sounds as if you have Female Pattern Hair Loss. 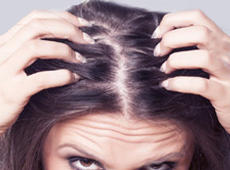 This is a common, hereditary condition which affects the follicles along the top of the scalp, temples and hairline. Typical signs of this genetic hair loss include shedding from all over the top of the scalp, thinning hair on top and at the temples, as well as a drop in hair density – something women often notice as a widening of their parting and a thinner ponytail than normal, as you mention. These symptoms may not all present at the same time, therefore, you may simply have started to notice hair thinning at your temples first and this is now progressing as it is a permanent condition which will generally worsen over time. When applying minoxidil it is generally advised that it is used on the entire area which can be affected by the hair loss condition you are experiencing. By applying it to this larger area you are both stimulating the hair follicles and reducing the risk of skin irritation developing, which can happen if a full dose of treatment is regularly applied to a small, concentrated area of the scalp. As such, we would recommend you apply the solution to top of your scalp but keep to the same dosage – just spread it out across the area rather than concentrating it over a smaller space. It is important not to overuse your medication, and to keep to the recommended dose stated. Whilst the description you have provided leads us to assume you are likely to have Female Pattern Hair Loss, if the extra shedding you are experiencing is coming from all over your scalp – the back and sides of the head as well as the top – it could be a temporary issue. Telogen Effluvium, or its chronic form Diffuse Thinning, tend to become noticeable around three months after having been triggered. They occur when the hair growth cycle is disrupted – by periods of intense stress, for example – and can cause significant hair fall in what appears to be a short amount of time, from all over the scalp. In mild-to-moderate instances, hair regrowth should occur naturally within around six months. In more severe cases, it will last for longer than six months but is still temporary; Telogen Effluvium treatment is available in each situation and can be combined with genetic hair loss courses should both conditions present simultaneously. As you don’t mention any intense shedding becoming noticeable recently, it is fairly safe to assume your hair loss condition is genetic, but – as before – it is certainly worthwhile having this confirmed with a personal assessment. 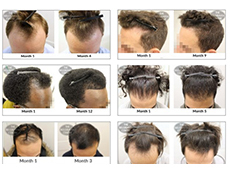 Question: When do you see the best results from hair loss treatment for Male Pattern Baldness? Is it true it can take two years for the results to come through? Also, does it depend on how old you are when you start losing your hair? I’m 23 and am just starting to see thinning mostly around my hairline. Answer: Hi, Shaun. Unfortunately there isn’t a straightforward answer to your question as there are many variables involved in Male Pattern Baldness. However, we can give you a rough guide to the stages of results from hair loss treatment, based on moderate levels of hair thinning – as follows – but do bear in mind that everyone responds differently to their course, so this information simply represents an average timeline for Belgravia clients. 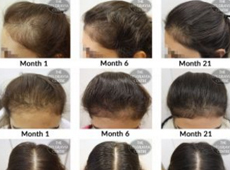 Although this is how we have seen treatment to work in the majority of cases, any chance of hair regrowth and improvements to clients’ hair density tends to happen within the first six months; this can continue past the initial six months but hair growth may be slower than during this initial period. As genetic hair loss is a permanent and progressive condition for which there is no cure, on-going treatment is necessary to continually ward off its effects and maintain results. The factors that tend to influence the time it can take for someone to respond to treatment include the pattern and how extensive the shedding is when help is first sought. For example, if you have a receding hairline it may take longer to regrow than a thinning crown given hair around the temples is the slowest to regrow. Also, obviously the more hair loss there is, the longer it may take to see results from treatment. That said, two years is an unusually long length of time to see any changes and we would expect 12 months to be the maximum period for severe hair thinning. It is generally the case that the earlier on an intervention is staged, via the use of clinically-proven male hair loss solutions, the more likely a positive outcome will be seen sooner rather than later. Another crucial aspect for getting the most out of your treatment is to ensure it is used routinely, exactly as and when prescribed. Missing doses, over-using or under-using medication will not help you to achieve the desired results – consistency is key. 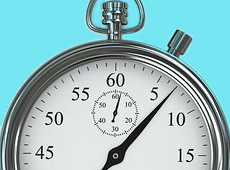 At 23 years of age you are young enough that you should be able to get a handle on things in a timely manner. But, as before, everyone is different so without being able to assess you, we cannot comment as to your specific chances of experiencing results from hair loss treatment, especially within a set timeframe. 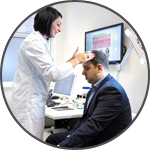 If you would like a personal consultation with a dedicated hair loss specialist, this can be done in person at one of our London locations, or by completing the Online Consultation form which allows you to upload photos. Is it Too Late to Tackle Male Pattern Baldness? Question: I have female pattern baldness and my hair has been getting progressively thinner on top over the past year. In the past few months I have noticed that I’m losing more hair than usual combined with a general hair density issue all over my scalp. It feels like I am now losing hair from the back and sides of my head as well as on top, and the amount I am losing has increased. I have not started using any kind of treatment but now I am definitely considering it as my hair is deteriorating rapidly. Answer: Hi, Gemma. The first thing we would ask you to consider, based on the information you have provided here, is when you first became aware of this increased hair loss. Then, think back to what was happening in your life roughly three months before this. If you are experiencing thinning hair at the back and sides of your scalp, this shedding is unrelated to Female Pattern Hair Loss as this only affects the follicles located along the top of the head, from hairline to crown. It sounds likely that you are experiencing a temporary hair loss condition in addition to the permanent genetic hair loss you are already aware of. This is known as Telogen Effluvium and can not only cause shedding from the entire scalp, but – in doing so – it can make your existing Female Pattern Hair Loss appear worse. Common causes of Telogen Effluvium tend to revolve around issues that cause stress, whether this is emotional or physical. Prime examples include feeling stressed or anxious, significant nutritional deficiencies, the presence of an underlying illness or taking prescription medication that lists hair loss as a side effect. If there are any other symptoms that started around the time you started losing more hair, it is worth speaking to your GP about these and possibly having a blood test in case there is an undiagnosed illness that is causing this excessive hair fall. We would highly recommend asking for your iron and zinc levels to be checked at the same time; it is common for women, especially those with genetic hairloss, to be deficient in these nutrients, which can cause hair loss from Telogen Effluvium. 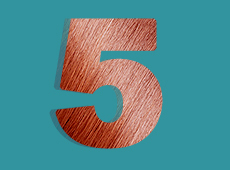 Once you have identified the cause, regular hair growth should resume within around three or four months. This should restore hair in the areas around the nape and sides of your scalp back to normal. 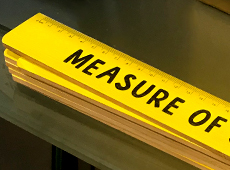 Whilst you will continue to lose hair from the top of your head due to your diagnosis of genetic hair loss, the rate at which it sheds should slow down – though this is not always the case. Telogen Effluvium treatment can be explored and simultaneously combined with Female Pattern Hair Loss solutions, in many cases. If you are interested in finding out more about established women’s hair loss treatment options, a consultation with a specialist can provide you with personalised recommendations for clinically-proven medication and appropriate hair growth supporting products, based on their findings. These range from home-use FDA-cleared low level light therapy (LLLT) devices, to highly-targeted Hair Vitalics for Women food supplements, formulated by Belgravia’s hair growth experts. They can also further discuss the possible causes of your hair loss with you, so you can hopefully avoid this happening again in the future. Do Thickening Shampoos Treat Thinning Hair? Question: Can taking biotin supplements speed up results from using hair loss treatment? Answer: Hi, Sam. The short answer to your question is ‘no’ – not usually. Taking biotin supplements – or having a good biotin intake via your diet – will not make hair regrowth from hair loss treatment appear faster. This is, of course, unless the cause of your hair loss is a biotin deficiency. What biotin can do, however, is support the hair growth function and contribute to normal, healthy hair. In short, it can benefit the condition of the hair, but not treat a hair loss condition. That said, a recent clinical trial in Egypt did find that biotin and zinc may be beneficial to people with Male Pattern Baldness – this study was very small, however, with just 60 participants, and far more research is needed before this link could be properly established. In some cases, changing your diet may cause changes to your hair. 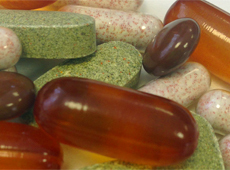 As an example, if you have thinning hair and also follow an unbalanced diet that is lacking in certain nutrients, then adjust your daily menu to include more vitamins, minerals, biotin, etc – or start taking a food supplement or multivitamin that contains elements known to contribute to the maintenance of the hair growth cycle, such as selenium and zinc – you could find that your hair starts to look healthier. Whilst this may give the appearance of slightly thicker hair, it is not actually treating the cause of the hair loss. This is particularly true in the case of Male or Female Pattern Hair Loss as these genetic conditions are both permanent and progressive, meaning that, without the intervention of clinically-proven treatments, the hair will get gradually thinner, weaker and baldness may develop in the affected areas. You don’t say what type of hair loss you are enquiring about or being treated for but, in many cases, Belgravia patients take a one-a-day food supplement – Hair Vitalics – as part of their personalised hair treatment plan. This highly-targeted product comes in specially-formulated Men’s and Women’s options, each of which feature key vitamins, minerals, amino acids and botanical extracts, including biotin, zinc and selenium to support healthy hair growth. These are available to non-clients around the world, as well as our patients to whom they are recommended, and can be purchased in-person at Belgravia’s London hair loss clinic locations, or via the dedicated website hairvitalics.com. 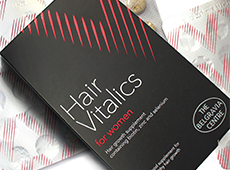 Hair Vitalics supplements are part of a range of hair growth supporting products which can be used alongside the established, clinically-proven hair loss treatments. This category also includes FDA-cleared devices – such as the HairMax LaserComb and LaserBands – which use low level laser therapy (LLLT) to promote hair growth and increased hair quality. If you are already using hair loss treatments but are not seeing the results you were expecting, firstly, consider how long you have been following your course. Depending on how extensive the shedding is when you first start treatment, it can take roughly three to six months – or even up to 12 months in some instances – for noticeable results to become apparent. 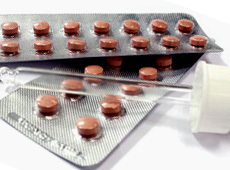 Also, check that you have been using each product in your routine diligently and exactly as directed; missing doses or applications here and there may not seem like a big problem – and when it really is just once in a while it may not be – but if these occurrences build up or become frequent, they can interfere with the treatment’s efficacy. This is a common reason for people not seeing what they consider to be ‘good enough’ or ‘quick enough’ results from hair loss treatment. If you are confident that none of these issues are a problem for you, you may want to consider including some of the add-in elements mentioned above to your hair regimen. We note that you are not currently a Belgravia patient so, if you are interested in finding out more about the number of options open to you, to ensure you are on the optimum treatment course, with the best hair loss solutions – in terms of both primary medications and adjunctive hair growth products and therapies – a consultation with a specialist should be helpful. 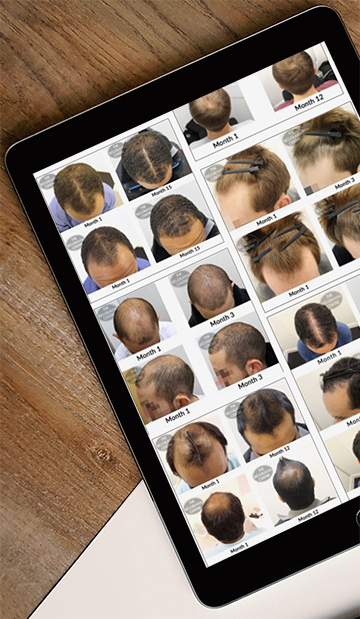 This can be done in person or online and is a convenient way to provide you with bespoke recommendations for consideration, all based on personal factors such as your hair loss condition, pattern and level of shedding and your medical profile, and to answer any further queries you may have. 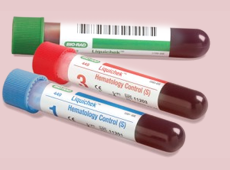 Question: Is it true DHT levels increase as you get older? I want to know about men and male pattern baldness really. Is that why older men are bald a lot of the time? Answer: Hi, Alfie. 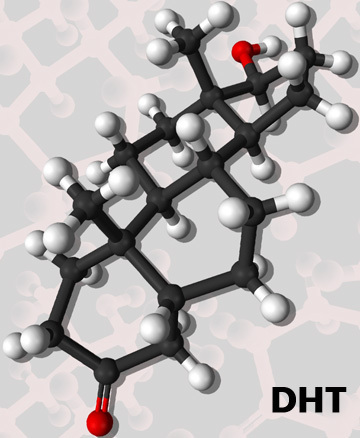 A man’s dihydrotestosterone / DHT levels are certainly thought to be affected by ageing, however, it has been shown that, rather than increasing, it is more likely that DHT will decrease with age. For the benefit of other readers, DHT is the testosterone by-product which causes follicular miniaturisation, leading to thinning hair and the typical symptoms, such as a receding hairline, of Male Pattern Baldness in men with an active genetic predisposition. 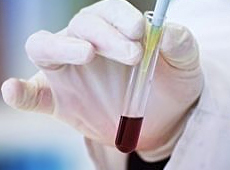 A widely-quoted clinical study from 1977, published in the Japanese Journal of Endocrinology, examined the serum DHT and testosterone (T) levels in 78 men aged between 12 and 89 years old. They were separated into groups by age and the following were studied – 20-39 years, 40-59 years, 60-79 years and 80-89 years. As you can see, the DHT levels steadily decreased in each age group. Years later a team from Massachusetts, USA, also investigated correlations between the effects of ageing on DHT levels; they published their findings in The Journal of Clinical Endocrinology & Metabolism on 1st February 2002. These researchers noted that the data they reviewed, taken from the Massachusetts Male Aging Study – described as “a large population-based random-sample cohort of men”, comprising medical information for 1,709 men aged between 40 and 70 years of age, suggested DHT levels remained constant, whereas testosterone levels dropped as men got older. They found the link between ageing and androgen levels going down may actually be to do with the increased risk of illness later in life. “Apparent good health, defined as absence of chronic illness, prescription medication, obesity, or excessive drinking, added 10–15% to the level of several androgens… incident poor health may accelerate the age-related decline in androgen levels,” they concluded. With regards to Male Pattern Baldness and men losing their hair as they get older, there is indeed a correlation here. This hereditary condition can technically present, in those who are predisposed to it, any time following puberty. However, the older a man gets, the more likely he is to experience this type of hair loss. For instance, it is widely understood that instances of Male Pattern Hair Loss increase roughly in line with age. So, by age 20, around 20 per cent of men may experience its onset, rising to 30 per cent of 30 year olds and 40 per cent of 40 year olds. Interestingly, figures for hair loss by the age of 50 appear to vary wildly depending on which country you are in. The American Academy of Dermatology states that an anticipated 85 per cent of men will experience some level of Male Pattern Baldness by age 50, compared to just 50 per cent of all UK men, according to the British Association of Dermatologists. There are a number of established factors which can exacerbate existing cases of men’s hair loss, or trigger the onset of premature balding, the main culprit being stress in its many and varied forms. Due to the pressures of modern life – and something known as oxidative stress in particular – this is thought to be the reason behind rising cases of hair loss in young people. The American Hair Loss Association estimates that a quarter of men will now start to lose their hair before the age of 21. Another reason for older men being more likely to be bald is that Male Pattern Baldness is a permanent, progressive condition. 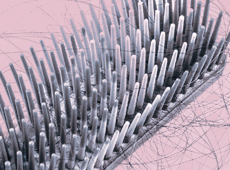 Therefore, if action is not taken to prevent hair loss – such as following a hair loss treatment course featuring one or both of the clinically-proven medications for this condition – the affected follicles – located around the top of the scalp, from hairline and temples to crown – will continue to deteriorate. The hair growth cycle will slow down, with hairs becoming finer and weaker, until the follicles are no longer capable of producing hair. The scalp will then take on the smooth, shiny appearance associated with true baldness. At this point, hair regrowth will not be possible even with the assistance of MHRA-licensed and FDA-approved hair loss solutions, and it may also be too late for surgical hair restoration; in cases where a hair transplant is not possible, cosmetic options such as hair pieces or wigs could be explored if the individual is uncomfortable with their hair as it is. We hope this answers your query and if you are concerned about experiencing any signs of hair loss or a drop in the volume of your hair, we recommend having a consultation at a dedicated hair loss clinic for personalised advice and information. Question: I know The Belgravia Centre is a hair loss clinic but do you also do head spa services like massages and hair treatments? Answer: Hi, Sheridan. Our hair loss clinics do not offer cosmetic spa treatments – the type you would get in a hairdressers, for example – however, we do offer our clients tailored clinical therapy treatments. These are relaxing, spa-like therapeutic sessions which are tailored to each individual patient’s needs and are considered adjunctive to the pharmaceutical elements of their bespoke hair loss treatment course. They sit in the same category as the range of hair growth supporting products that is offered to all Belgravia clients, although clinical therapy sessions also comprise elements of scalp care. Each appointment is carried out by a dedicated clinical therapist and features a selection of specially-formulated scalp and hair care treatments, therapies – such as low-level laser therapy (LLLT) and infra-red or UV light therapy – to promote normal healthy hair growth, steaming and relaxing-yet-stimulating scalp massages. Not every type of treatment or therapy – including head massages – will be suitable for each patient, so a bespoke session based on the specific needs of every individual – including hair loss condition, medical profile and hair type – is crucial. We are aware of some ‘head spa’ or ‘hair spa’ services, often provided by hairdressers, and which offer advice on caring for your hair type, alongside conditioning hair treatments. 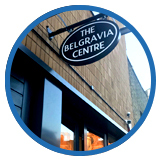 At Belgravia, advice on hair loss and hair care is provided to each client as standard both during their initial consultation and at all check-ups, where appropriate. Patients are also able to contact their personal Treatment Advisor at any time throughout their course if they have any questions regarding their hair or products. Conditioning hair treatments carried out in-clinic are a basic element to our clinical therapy sessions which are included in some courses or can be added on to others, as and when required. This can be arranged by our Treatment Advisors (each client is appointed a dedicated advisor upon starting their course). 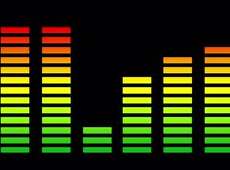 Usually we recommend they take place once per quarter, so every three months, but the frequency is fairly fluid and largely dictated by the client’s wishes. For example, if someone is experiencing a scalp condition such as psoriasisor seborrhoeic dermatitis, more frequent sessions – monthly, fortnightly or even weekly – may be needed, particularly during flare-ups. At-home hair treatments – both in terms of hair care, scalp care and hair loss treatments – are available following a consultation, either in person or online for those based outside London or abroad. In addition to recommended custom hair loss solutions, a hair specialist will also suggest appropriateshampoo and conditioner formulas based on their findings. "Does Scalp Massage Help Hair Loss or Hair Growth?" Question: I have just started Chemotherapy for Breast Cancer & am using cold capping. After the Chemo I will be starting on Aromatase Inhibitors. I understand that I am likely to experience hair loss & thinning whilst on the Aromatase Inhibitors. Are there any medications that I could be taking now or in the future which would help with this please? Answer: Hi, Jill. 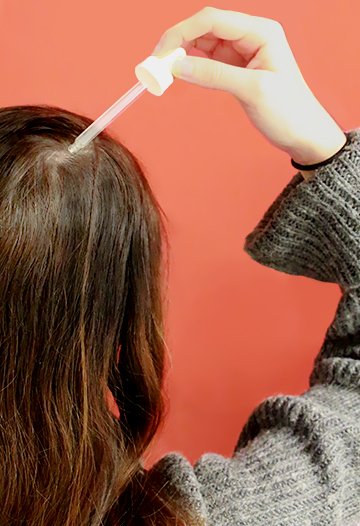 Using a cold cap is a great way to help prevent hair loss during chemo, though you are right to prepare yourself for the potential of losing some hair as scalp cooling systems may simply minimise shedding, rather than prevent it entirely. Belgravia does not offer hair loss treatment services to anyone whilst they are undergoing chemotherapy. However, once their cancer treatment has been completed, and maintenance on Aromatase Inhibitors has been initiated, this may be possible. Following a professional consultation, either online or in person with a hair loss specialist, treatment recommendations will be made based on your level of shedding and your specific medical profile. The aims of these options will be to help regrow hair lost during chemotherapy, and/or to help improve the thickness and density of thinning hair. In many cases hair regrowth will occur naturally, with the hair being pretty much back to normal within 12 months of the last chemotherapy session. There may be some changes to how the hair looked beforehand – such as changes in texure or colour – but these tend to be temporary. Before initiating any treatment your oncologist would need to provide your dedicated hair specialist with proper written confirmation that they are happy with the hair loss solutions you have chosen, and that they are suitable for you to use alongside your oncology treatment. We wish you the very best of luck with your forthcoming treatment and if you have any further queries on this subject, do just let us know. Could Oral Minoxidil Treat Permanent Hair Loss from Chemotherapy?